I took a leisurely stroll down Namche hill, cursing the yak trains under my breath. Then had lunch in Jorsale before walking down to Phakding. Not exactly a strenuous day. 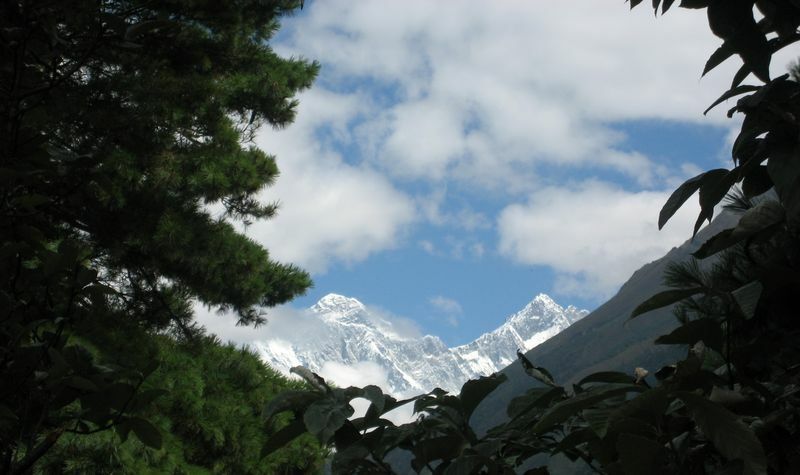 A glimpse of Mount Everest from halfway up Namche hill.